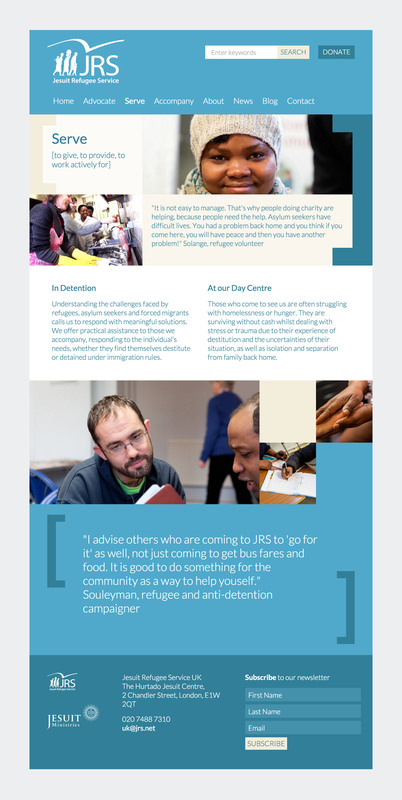 The Jesuit Refugee Service (JRS) UK works to advocate, serve and accompany refugees and forced migrants in the UK. 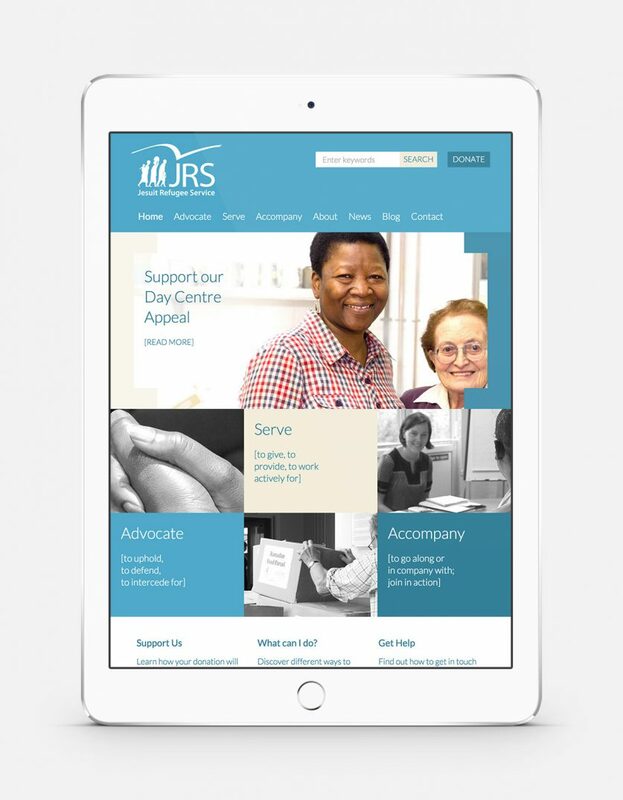 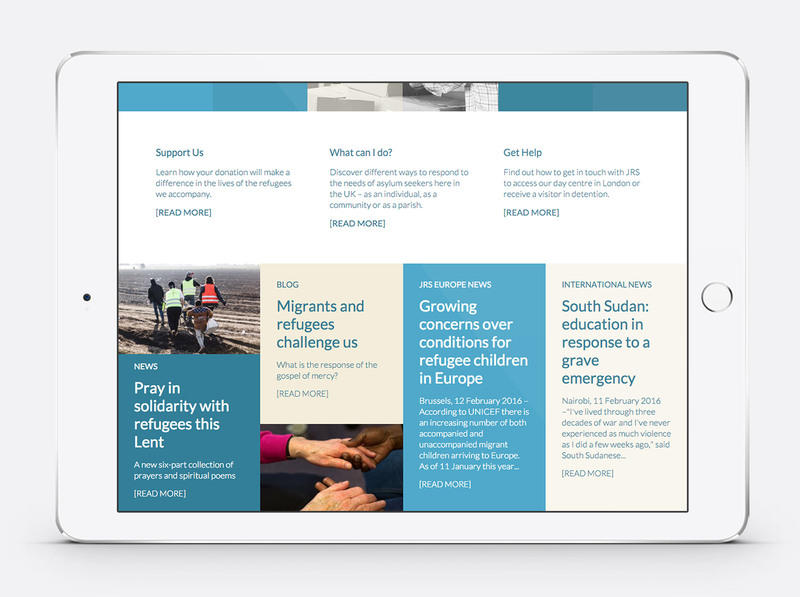 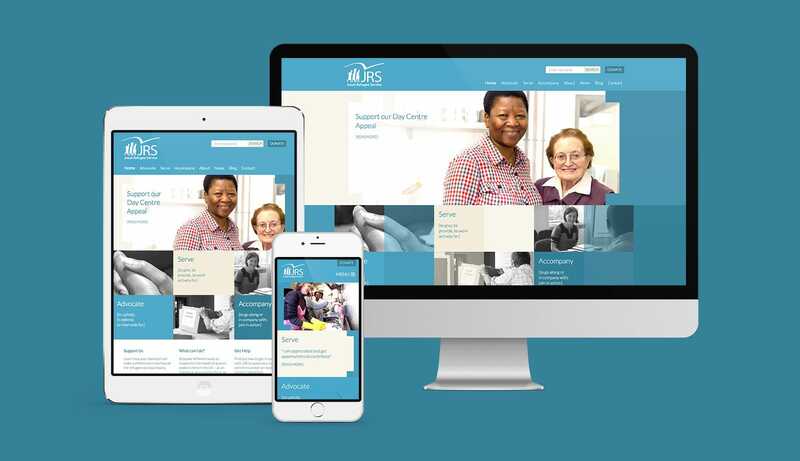 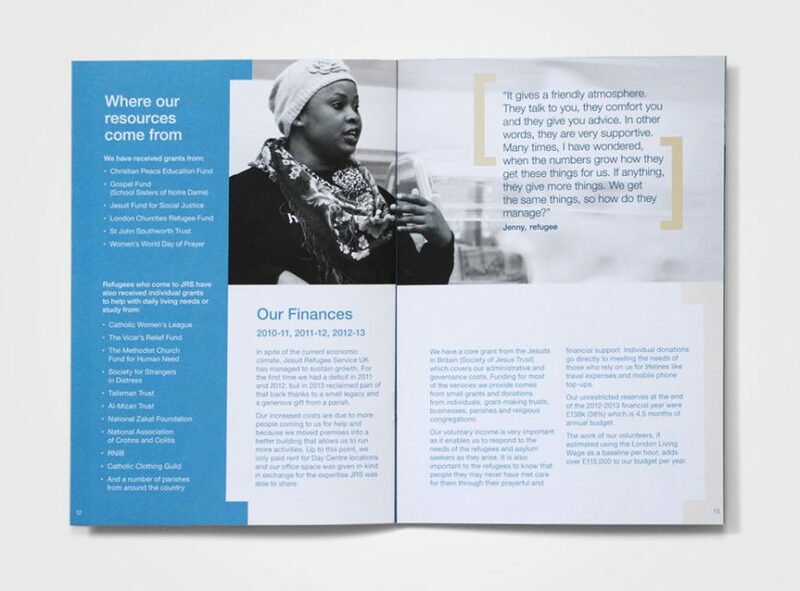 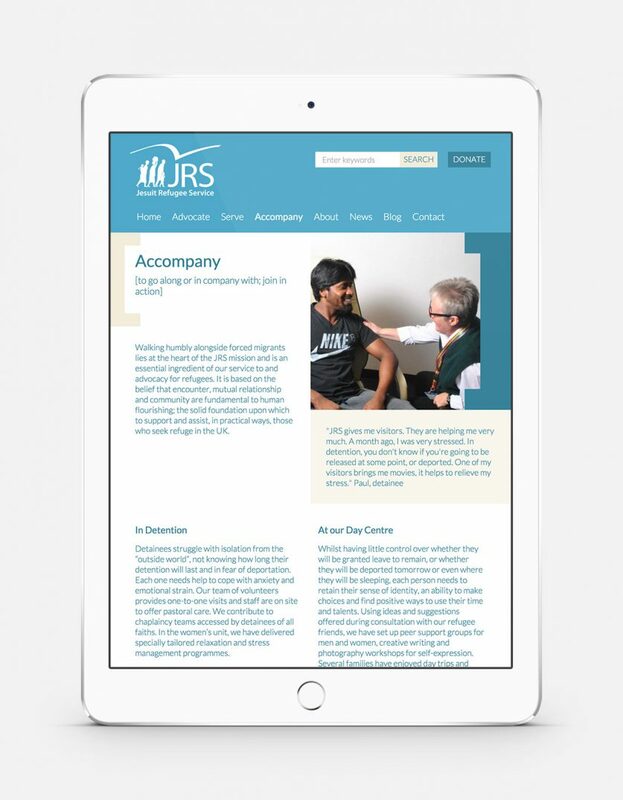 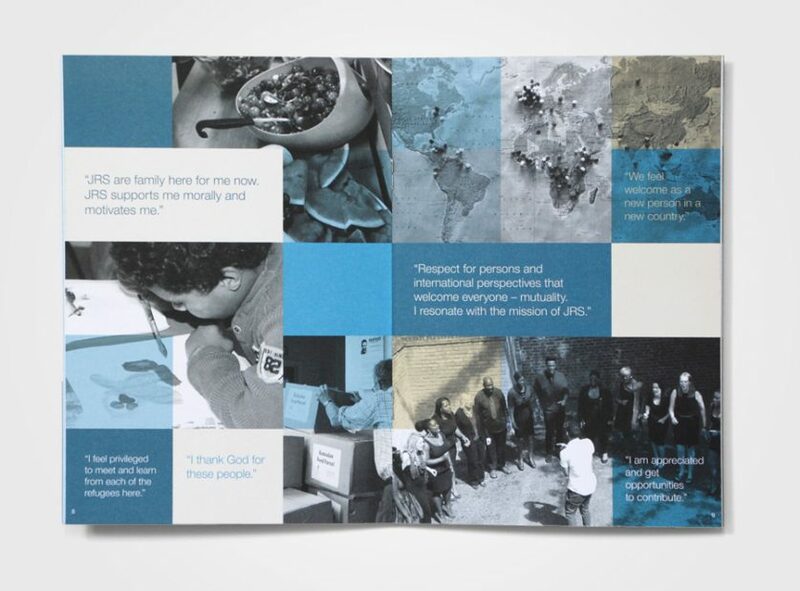 We worked with JRS to design and develop a new responsive website that clearly communicates the organisation’s values and provides information for volunteers, donors and refugees. The new website design is part of a wider visual identity programme, that covers the organisation’s annual review, printed literature, presentations and email design.